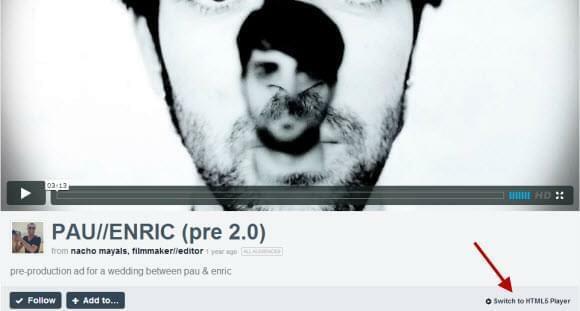 My friends and I are preparing for our new website in these days, and we want to add an html5 video player to the site. To be frank, we don’t know much about this kind of player. Anyone used html5 video player? Recommend me one please. In the recent years, a fashion way to display online videos is using html5 video players. Being compared to traditional flash players, the new type of video players is more flexible and customized. It supports desktop browsers like IE, Google Chrome, Safari and Firefox, and also available on mobiles or portable devices. The html5 video player is quite stable and has excellent backward compatibility. The most notable feature of html5 video player is the <video> element which allows users to embed videos on the websites with less code. In this case, the user-friendliness of a website is improved. We can see that more and more developers are using html5 video player, and some video sites also enable users to view videos on html5 player. For building a new website, choosing a good html5 video player is very important. Youtube.com is the best html5 video player online, it is one of the earliest sites which offer html5 videos playback as well. In order to switch to YouTube html5 video player, you should visit the assigned webpage first. On this page, you can check what format does your browser supports. For example, you can watch videos in WebM and H.264 format in Chorme, but when you use IE, you only can watch h.264 videos. The good point of YouTube html5 player is that it will update and fix bugs automatically. 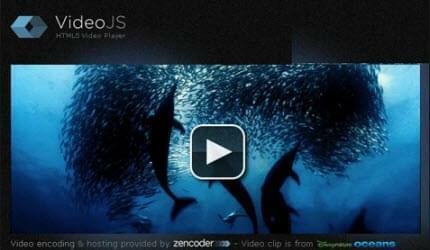 In 2010, Vimeo launched the html5 player beta. It has free and paid versions. When you watch a video on Vimeo, just enable the html5 player by clicking the switch button under the playing window. The advanced player offers you lots of benefits. It is smoother than flash player, it loads completely within seconds and the buffering time is shorter. But, Vimeo html player doesn’t let you watch videos with full screen currently. Among all the html5 video players, SublimeVideo is renowned for its cloud-based technology. The interface of SublimeVideo is sleek and pretty. It gives you the power to create playlists and observe video usage stats in the real time. Other functions include keyboard shortcut control, advanced buffer and window resize. You should know that SublimeVideo is only a player, and you need another video host to store your videos. In order to fit your html5 player better, it is suggest to convert video to html5 format. Currently, html5 videos accept MP4, OGG, WebM and etc. With an html5 video converter, you can convert flash video to html5 simply. Run the program, hit Convert Tab. Next, specify the output folder. 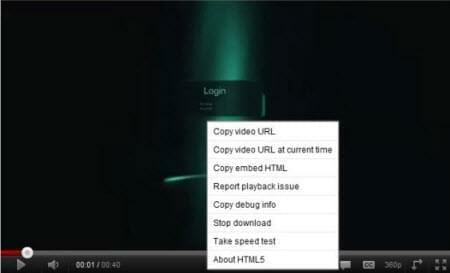 Import the videos, select the target format as html5. When necessary, click Settings buttons to adjust the detailed parameters. It’s okay, you can start to convert videos to html5 format. In addition, you can convert html5 videos to other formats using this program. I hope you can find the best html5 video player after reading this article. Good luck!